The Blog of Jared Kirk: Who are you? Most of us don't really know who we are. 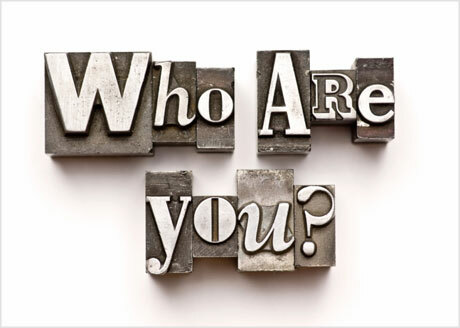 If you ask us, "who are you?" we respond with a list of our hobbies, our occupation, and our family roles. "Well, I'm outdoorsy, I like to hike, I am an engineer, and a dad to three boys." Since we don't really know who we are we, cobble together an identity for ourselves. We construct it. "I'm a mac guy. I'm funny. I like pizza." But, for people that live in traditional societies an identity is family based and inherited rather than constructed. "I'm a part of this family or that clan." So when Jesus approaches Nicodemus in John 3 and tells him that he must be born again, what he is saying is that in order to enter the Kingdom, Nicodemus must have a total shift in identity. From family allegiance and racial superiority to an identity that is given by the Spirit. For those of us who live in a nearly constant state of identity confusion, the great thing about being born again isn't that your identity changes (although it does), but that you finally have an identity that doesn't shift like desert sands. The most important things you can say about who you are will be things that don't change. "I'm forgiven. I'm God's child. I am accepted by God. I am made worthy by God." Instead of building our identity on a career, romantic love, acceptance, power, or prestige, we are invited to build our identity around a person. A person who always forgives and always fulfills.